These latest paintings, Hearts and Teapots and Teacups are smaller than my usual paintings and are more affordable, made especially for craft fairs and shops. I will be selling some of them at the next Rye craft fair on 8th October, Rye community centre, TN31 7LE. 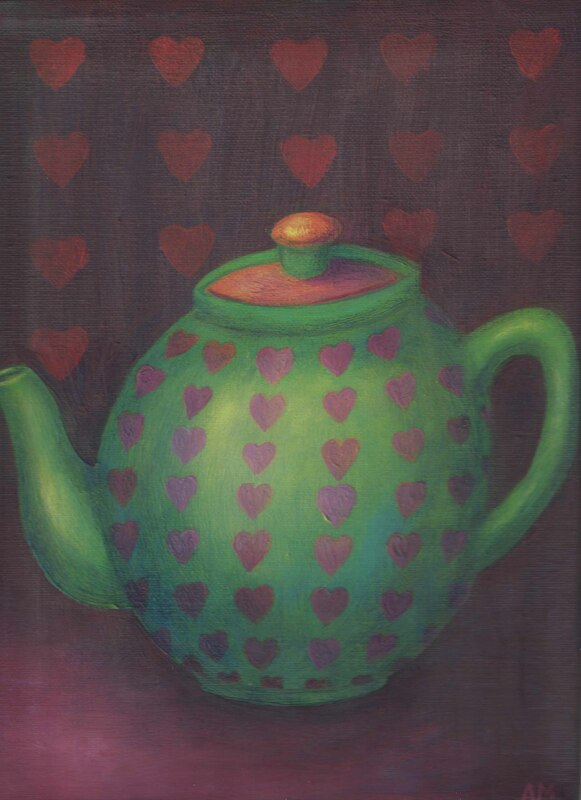 This entry was posted in Uncategorized and tagged hearts and teapots, tea pot painting, teapot painting. Bookmark the permalink.